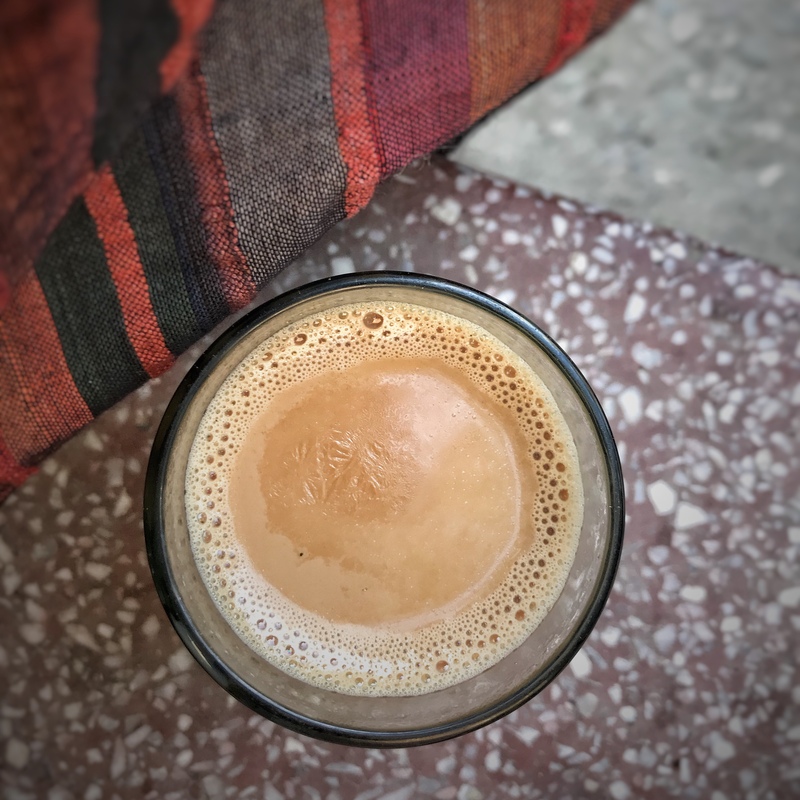 During my travels across India I got spoiled with delicious Masala Chai everywhere I went. 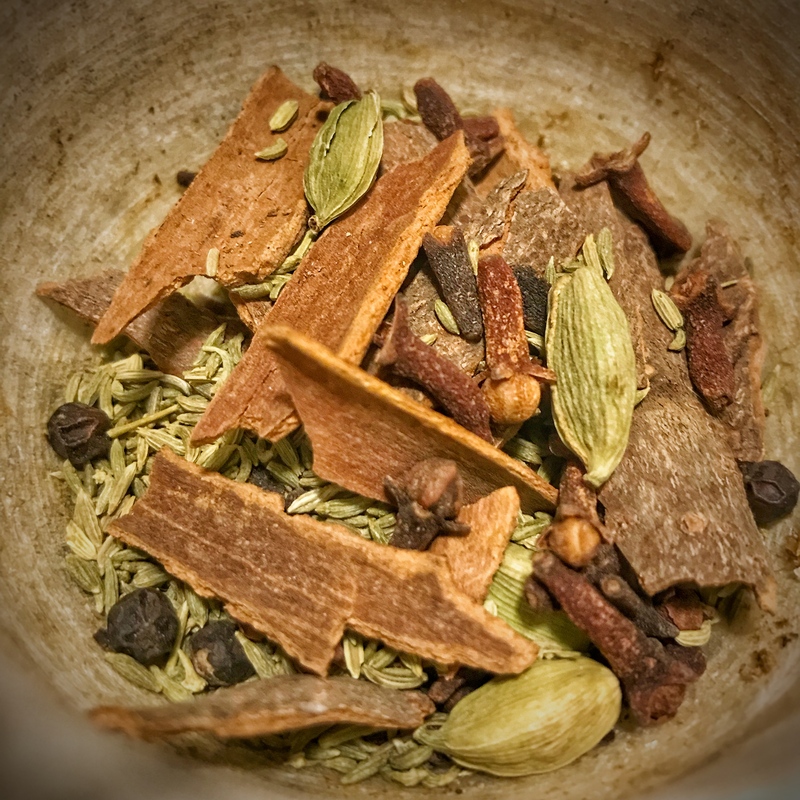 Masala means spice mix, and Chai means tea. I find it funny that we usually call it Chai Tea in the west, because obviously we are calling it “Tea Tea” if you think about it. 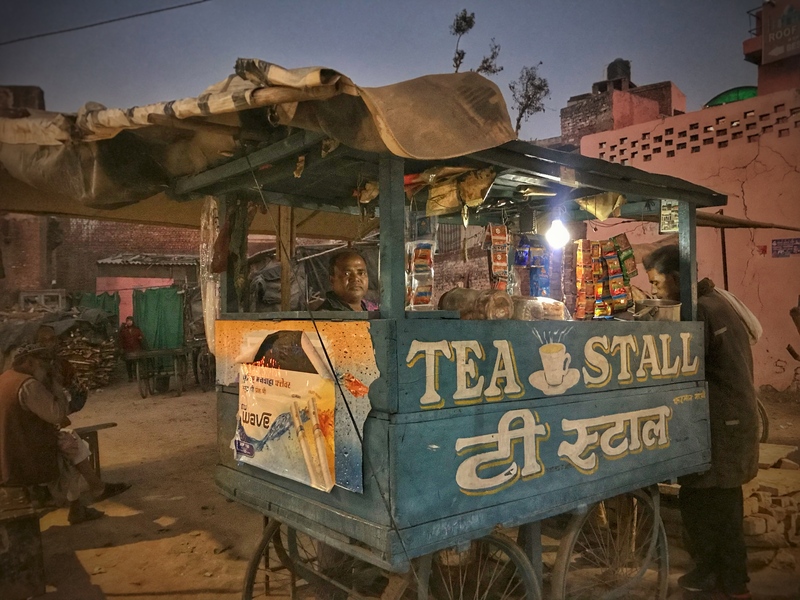 Anyways, whatever you want to call it, there are tea stalls everywhere in India and there is no shortage of spices or the will of Chai makers to prepare a fresh cup upon request. A cup of freshly prepared Masala Chai became a daily ritual for me, one that I knew would become challenging to maintain once I returned home in USA. I find that any Chai that I have tasted in USA is saturated with cinnamon flavor and aroma lacking on all the other spices. 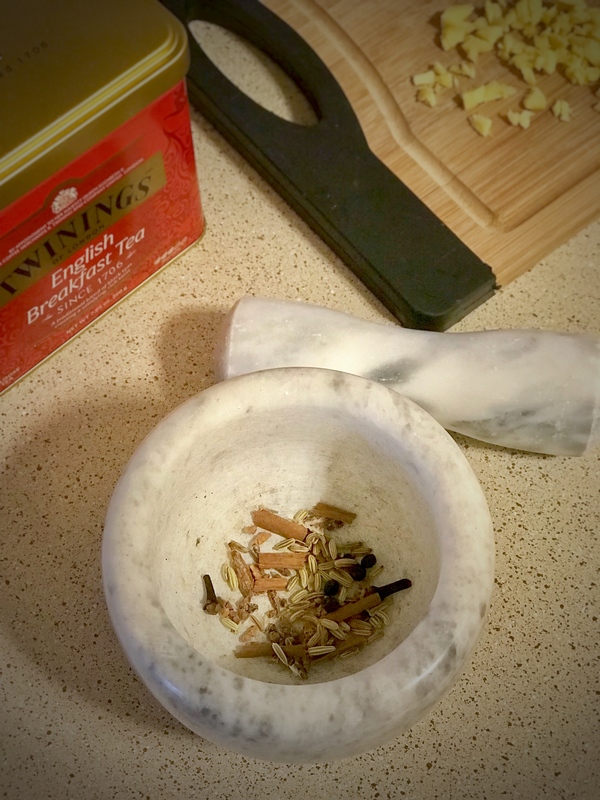 Realizing this quickly as I have just arrived back home in the U.S., I decided to make my own Masala Chai following the authentic recipe that my good Indian friend and fellow Yogi, Sumit, shared with me in India. Are you ready? Below I have listed all the ingredients for a spicy cup of fresh Masala Chai. If you are trying this on your own, I recommend testing out the amounts of each listed spice until you find the perfect balance for your own taste buds. Ready, go! You will also need a mortar and pestle to freshly grind the spices, as well as a fine mesh strainer. Break up the cinnamon stick to small chunks. Crack open the cardamom pods extracting the seeds and discard the shells. Mix the cinnamon, cardamom, clove, fennel and peppercorn and grind them with mortar and pestle. Add the nutmeg powered to the ground spices, along with the ginger and water in a pot and bring them near boil over medium heat. Add the black tea and bring them to quick boil. Add the milk and bring them to another quick boil, occasionally stirring the mix to avoid over-boil. Just before the boil add the saffron. Remove from heat and pour over fine mesh strainer onto a container. Double strain to remove spice residue, pouring directly to cup the second time. Add sweetener of choice to taste.Here you have it, a delicious home made cup of Masala Chai, spicy and delicious to make your taste buds dance with excitement! Cheers! Special thanks to my friend Sumit for passing on this recipe to me. I have tested it on my own and shared some homemade Chai with family and friends, with satisfactory feedback. 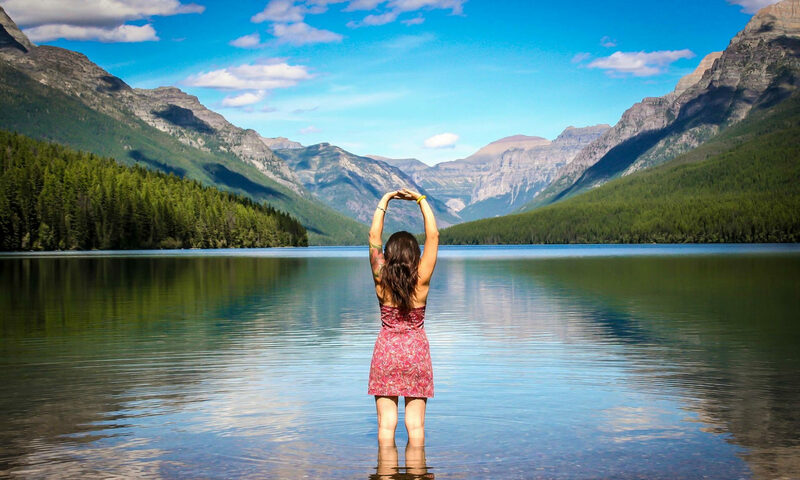 I hope you all give it a try and enjoy it as well!